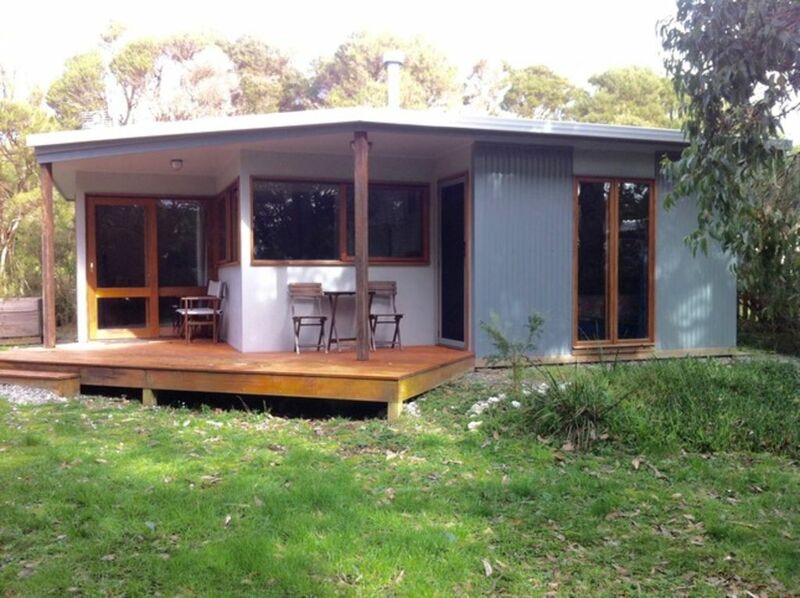 We build this solar Passive cottage in 2012. We love the simplicity and ambience of its design . down the road from Alisons Lesters Magic Beach and easy drive to Wilsons Prom . linen and bath towels provided on request . It's a lovely cottage in a quiet court. There is basically everything you need. The owner is very thoughtful and makes the cottage very well organized. Thanks Anne! Thanks Dan Li, we always love to have such tidy guests as yourself . Glad you enjoyed your stay in this beautiful part of the world . Thanks Micaelie .In that little triangle we are 30 metres from each of the other houses which allows for the privacy with the bush around us . Glad you enjoyed Walkerville Spinney and thanks for leaving the cottage so neat and clean . You are welcome back any time . The property was very comfortable and cozy. Loved the bird action. We loved Wilson’s Prom so we tended to get back to the property around 7:30-8:00 PM. After dinner and reading we turned in for the night and started it all again the next day. It was very nice. The bird baths were especially fun. Hi Steve and Anne, apologies re the salt and pepper but thanks for letting us know . It is usually in the bottom drawer with the teas. Not sure if you over looked the salt as it is sea salt and in a jar . It does sound like the pepper is not there though . I used to include things like long life milk but no-one would ever use it . Glad you enjoyed your stay despite . We absolutely loved our stay at Spinney Cottage. The location was perfect for us and the house had a great feel to it. Would definitely come back here! Enjoyed our stay in the bush setting ,great location close to all you want to visit. Lovely quiet place to stay. Great location, close to everything. Especially loved how warm and cosy the cottage was.